The Senate Republican members of the Budget & Appropriation Committee — Jennifer Beck, Anthony Bucco, Steven Oroho, Kevin O’Toole and Sam Thompson — joined in support of options to avoid $1.7 billion in tax and fee increases proposed for the FY15 New Jersey state budget. “We oppose the Senate Democrats plan to raise taxes by $1.6 billion. It is not a workable plan for the people of New Jersey, and for similar reasons, we oppose $137 million in tax and fee increases proposed in the governor’s budget and supported by Senate Democrats. “The federal tax increases on families and small business owners have already caused a state revenue shortfall, to the detriment of New Jersey’s workforce. The Senate Democrats’ proposal to raise taxes by $1.6 billion will damage our economic viability regionally, nationally and internationally. State legislators Sen. Sam Thompson and Assemblymen Ron Dancer and Rob Clifton, all R-Ocean, Monmouth, Middlesex and Burlington, praised the recent announcement by the Department of Environmental Protection (DEP) of the $4.5 million purchase of a 293-acre tract in the Barnegat Bay watershed in Jackson Township that will be permanently preserved. The report, issued by the New York Citizens Budget Commission (“CBC”), recommends tax increases in Bergen, Essex, Hudson, Middlesex and Union counties to generate up to $233 million for PATH deficit reduction. “At the same time that the State Comptroller identified millions of dollars being wasted at the Watershed Corporation under ex-Mayor, now U.S. Senator Cory Booker, hundreds of Newark police officers were laid off due to budget cuts leading to a surge of violent crimes, including a 41 percent increase in murders in the city from 2009 to 2013. “It is crystal clear that the reported waste, abuse or fraud associated with the Newark Watershed has directly impacted the safety and well being of residents. In the following video, Senator Sam Thompson (R-12) breaks down the need for the New Jersey Legislative Select Committee on Investigation to look into serious abuses of government power in Newark that were uncovered by the State Comptroller. 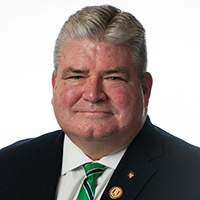 Thompson and Senator Ron Rice (D-28) have launched a petition at http://senatenj.com/newark to support their bipartisan call for the Select Committee perform this inquiry. Members of the New Jersey Bar Association and the judiciary have expressed concern over what they see as a threat to judicial independence posed by Gov. Chris Christie and others who criticize “activist” jurists, and the governor’s break with tradition when he declined to nominate two sitting Supreme Court justices for lifetime tenure. To the contrary — it is the activist judges who long ago eliminated the co-equal status of the executive, legislative and judicial branches. Activist judges have decreed the judiciary is superior to the executive and legislative branches, and they have done so time after time by issuing rulings based not upon what the constitution or statutes clearly state, but rather upon what they believe they should have said. Senator Sam Thompson (R-12) discussed the waste and abuse of state taxpayer dollars in the Newark watershed on Comcast Newsmakers with host Laura Jones. 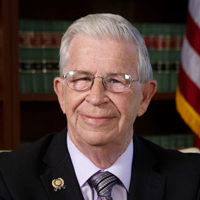 Thompson explained why it is important for the New Jersey Legislative Select Committee on Investigation to look into abuses uncovered by the State Comptroller. 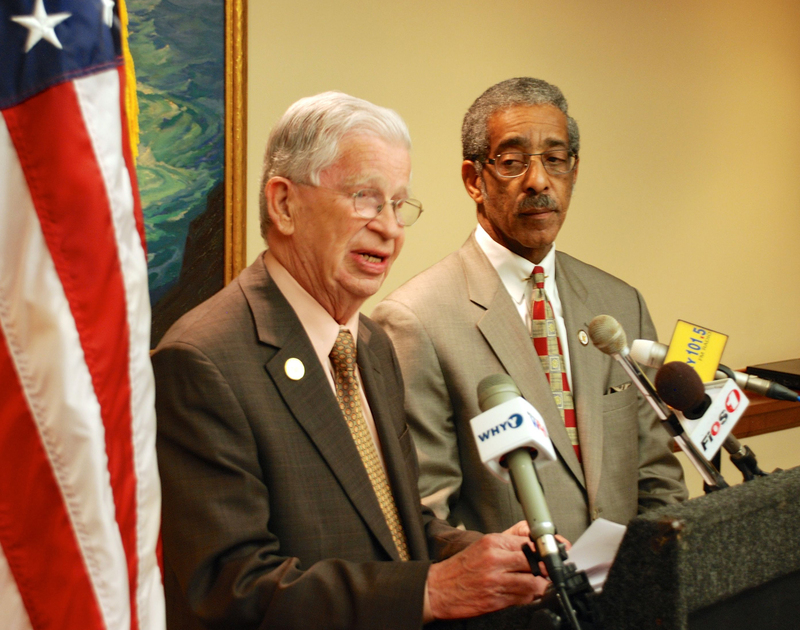 With the support of legislative Republicans and Democrats, Senators Sam Thompson (R-Burlington, Middlesex, Monmouth, Ocean) and Ron Rice (D-Essex) launched an online petition for the people to prompt a “New Jersey Legislative Select Committee on Investigation” inquiry into government abuses of power and cover-ups in The City of Newark, including those uncovered by the state Comptroller. Here is the petition url: https://www.senatenj.com/newark/. New Jersey Senators Sam Thompson (R-12) and Ron Rice (D-28) held a joint press conference this morning to announce a bipartisan initiative for the “New Jersey Legislative Select Committee on Investigation” to open a full inquiry into government abuses of power and cover-ups in The City of Newark, under its former mayor and now U.S. Senator Cory Booker. Senator Sam Thompson (R-Burlington, Middlesex, Monmouth, Ocean) urged the chairman and chairwoman of the “New Jersey Legislative Select Committee on Investigation” to open a full inquiry into the City of Newark’s abuse of tax dollars, in light of state Comptroller investigative report released today.